I am an Eye Movement Desensitization and Reprocessing (EMDR) trained therapist. EMDR is a psychotherapy (counselling) approach that is highly recommended, and effective treatment for trauma and several other mental health problems. When a traumatic event happens our brain, at times, struggles to file away the memory. As a result the traumatic memory's files are left scattered in the brain and therefore "touching" other parts of the brain that make the traumatic memory available for recall through triggers. Triggers can be smells, sounds, feelings, emotions, and sights that are similar to the past trauma that bring the memory to the present. EMDR helps neutralize the emotions, symptoms, and triggers of a traumatic event through bilateral stimulation. Before the processing of a traumatic event occurs, one or two sessions will be spent getting to know you, and for you to get to know me and the therapeutic approach. Typically a session last 60 minutes. As for the number of sessions, it comes down to your pace. 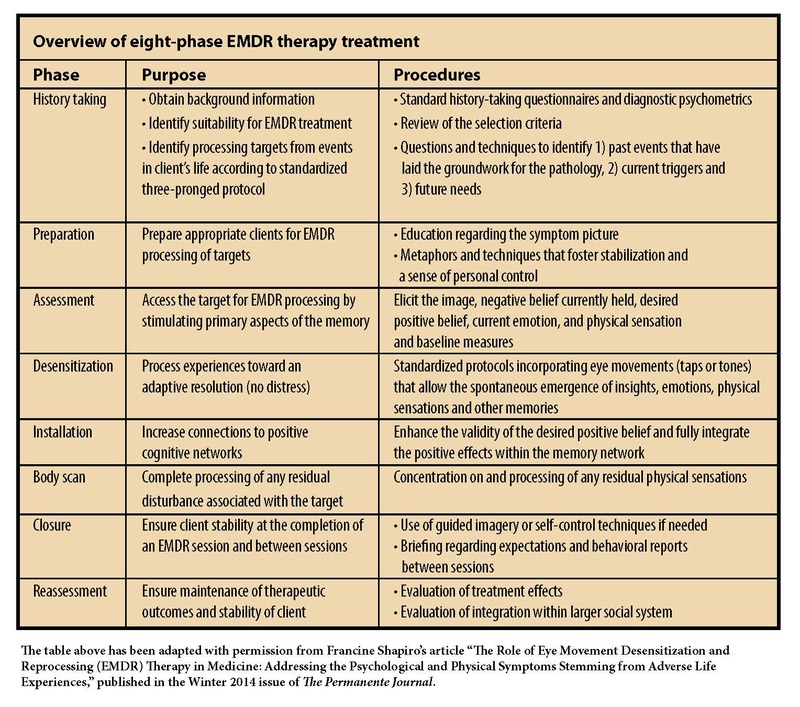 For more information about EMDR Therapy, please visit EMDR Canada.